ArmourPrint Emerytex and AmourGrab work together perfectly to create a counter mat solution ideal for fast food and retail environments. ArmourPrint Emerytex is a clear, 15 mil (381μ) heavy-duty, slip-resistant monomeric PVC film with a matte pebble textured finish on one side and a smooth printable surface on the other side. 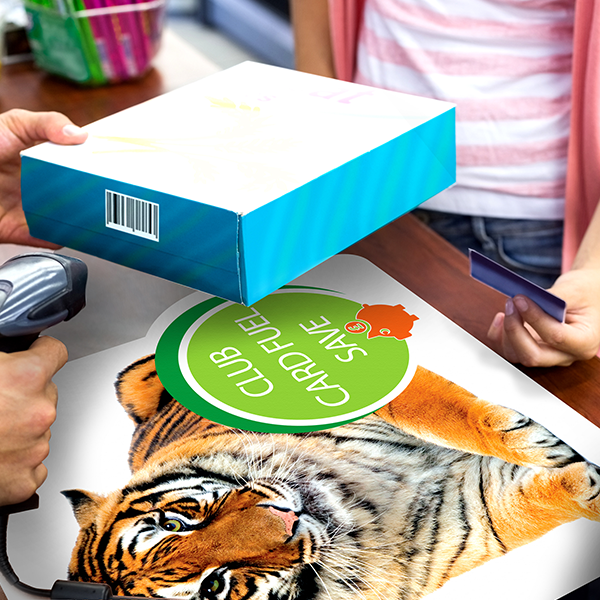 By reverse-printing onto ArmourPrint Emerytex and pairing it with ArmourGrab– a 8 mil (203μ) co-extruded white film coated with a heavy coat weight, permanent, pressure sensitive clear acrylic adhesive – you can create eye-catching advertising mats for counters. 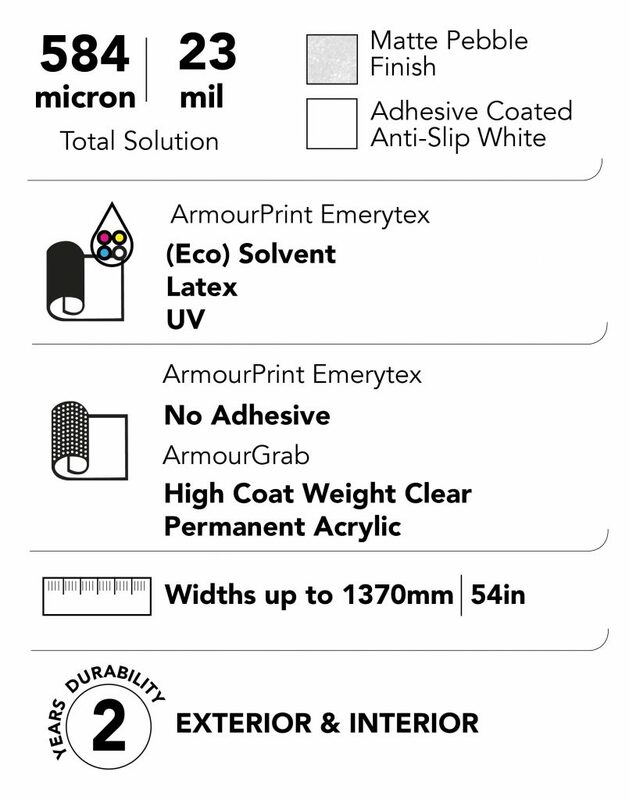 ArmourPrint Emerytex has been approved by the FDA for incidental food contact and both media are slip-resistant, making the combination safe and effective for counters in fast food outlets, convenience stores, bars and more.